We have a fantastic new drinking vessel for all your coffee related needs! This is no ordinary mug! 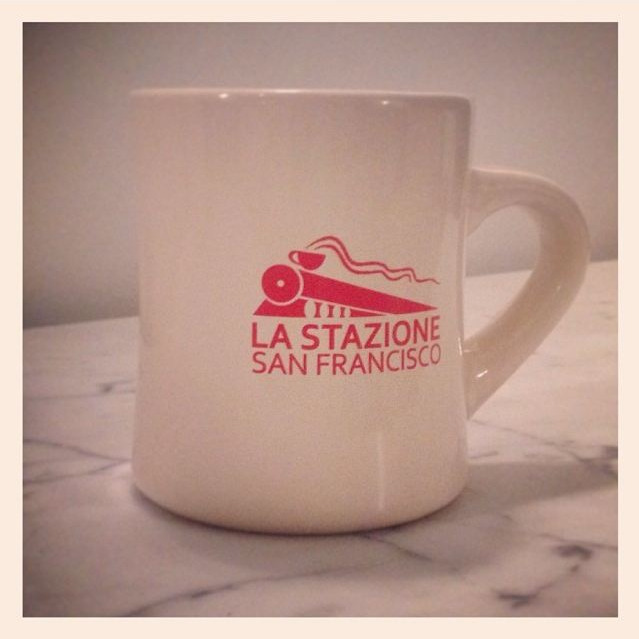 Keep your hot drinks tasting better by serving them in this diner mug with the La Stazione Logo boldly emblazoned in red for added style points. Perfect for that 12oz caffe latte, cappuccino, or pourover - which is included free with each purchase. Not able to come and pick one up yourself? No problem - order one from our Square online marketplace and we will ship it for free (hot drinks cannot be shipped - sorry). Our new web site is now live! SFWeekly Names Us "a Haven for Caltrain Commuters"